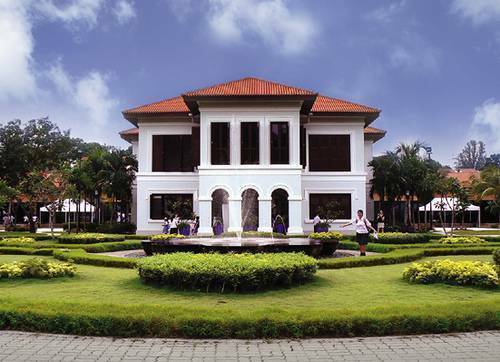 The Malay Heritage Centre is a cultural centre and museum in Singapore that represents the culture, heritage and history of Malay Singaporeans. Located at Sultan Gate in Kampong Glam, the 8,000 square metres centre was launched on 27 November 2004. The building was once the Istana Kampong Glam (or the Sultan's Palace). The Malay Heritage Foundation, formed on 28 July 1999, embarked on a major restoration project of the Istana Kampong Glam that year. The building reopened as the Malay Heritage Centre in 2004 after construction works were completed. On the grounds of the Malay Heritage Centre are Gelam trees, a replica of a Bugis prahu boat, the Pinisi, and information markers on the history of the Bugis people and their trade. The centre itself preserves and showcases Malay culture and heritage in Singapore through historic artefacts, multimedia and diorama displays, and exhibits.